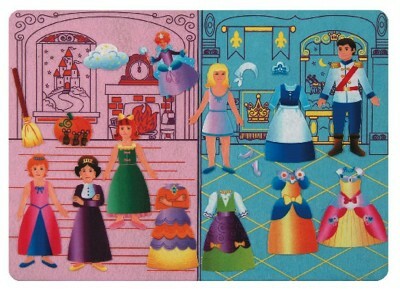 Cinderella Felt Tales Adventures in Felt. Want to encourage quiet indoor imaginative play with your children? One of the best ways to do that is with felt boards! Safe, soft, warm, colorful, tactile, three-dimensional, portable, durable, compact, sharable, universal, quiet, requires no power source, simple to use, expandable, personal. Recognized by all who remember their own felt play experiences as children, and by those whose children have already encountered felt play in preschool and school.